In the grip of a crushing gambling habit, young mother Evie is desperate for a way out. She’s stunned when she’s offered a lifeline: A place on a unique, addiction-healing program that includes a six-day stay, six challenges and a chance at sixty thousand dollars. From all over the world, twenty-eight people travel to a monastery on a remote island in Greece to begin the program. There is just one clause – they must keep it secret. The monastery holds secrets, too. There are those who peer through the walls and wait: people with the darkest of desires. Far too late, Evie discovers the chilling truth. And the closer she gets to finding an escape, the closer the horror lurking in the depths of the monastery gets to her. When Evie arrived on the tiny Greek island where she had been accepted into a special program which would cure her addiction, she was bemused. The monastery was old; she was met by Brother Vito who explained about the six challenges – the end result (should she reach it) would give her $60,000 ($10,000 per challenge) and she would also have all her debts paid off. Gray was shattered to realise Evie had left him, and their daughters. He had no idea where she was; none of her friends knew either. Evie’s note which said she would be back in a week gave Gray a small kernel of hope. But as Gray searched for his wife, his journey put him in the path of Constance who was the mother of a young teenager also missing; together the two of them joined forces in their search for loved ones they had become increasingly concerned about. Would Evie and Kara be found – alive? Or were the police right? Wow! Deep, incredibly dark and disturbing, The Six by Aussie author Anni Taylor (author of The Game You Played) is another intense psychological thriller that pounded through the pages. The main characters are resilient, tough but scarily vulnerable; the bad guys are horribly bad!! 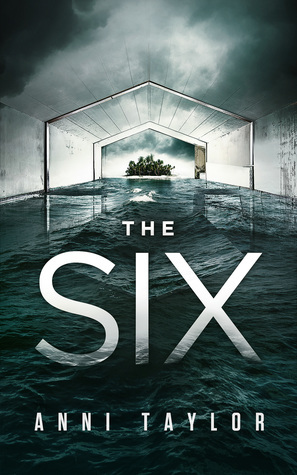 A fast-paced and thrilling plot, The Six is a breathtaking and intense ride, and is filled with twists and turns which kept my heart in my mouth! A highly recommended 5 stars. With thanks to the author for my digital copy which I beta read, for my honest review. This entry was posted in Guest Reviewer, Post Script: Book Reviews, Psychological Thriller and tagged #Aussie Author, 5 stars, beta read, serial killer. Bookmark the permalink. What a fascinating premise for a novel, Carol. And the setting sounds fabulous, too. And it sounds as though it’s just full of atmosphere, too. I can see why you enjoyed it so well.